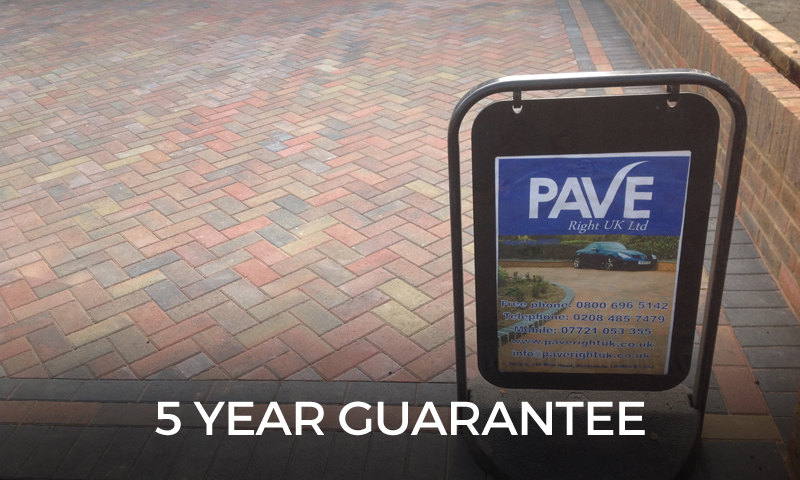 Pave Right UK is the leading provider of resin bound driveways in London and the South East. We employ an experienced team that has performed hundreds of resin bound driveway installations for both private residences and commercial developments. Our team of experts will install your new resin bound driveway to the highest standards. You will be delighted by how beautiful and well-installed your new driveway is. All work is fully guaranteed and our rates are very competitive. If you are interested in learning more about our resin bound driveways, contact us today on Freephone: 0800 696 5142 or London: 0208 485 7479. You can also read on to learn more about resin bound driveways and the services we provide. 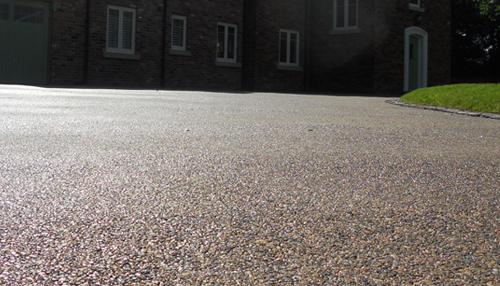 A resin bound driveway is made from a mixture of polyurethane resin and aggregate stones. This mixture can be applied to a new or existing driveway. It hardens to form an attractive and durable driveway surface. If a new driveway is being installed, the area is cleaned and levelled before the mixture is applied. If there is an existing asphalt, stone, or cement driveway, the mixture can often be applied on top of it — which saves a huge amount of time. The driveway is poured on site and cold applied on site. The client can choose which type of aggregate is used with the resin, meaning you can have a unique driveway that perfectly matches the design of your property. Resin bound driveways are permeable, which means they allow for the infiltration of liquids. 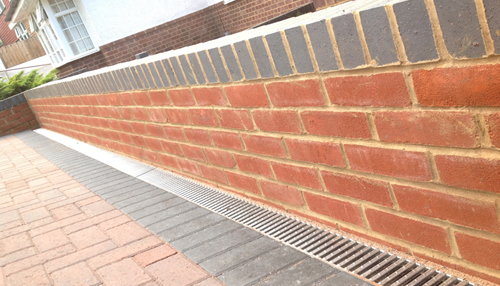 This offers many advantages including Sustainable urban drainage systems (SUDS) compatibility, a reduction of standing water, and an elimination of surface water runoff. Why install a resin bound driveway? Resin bound driveways are an attractive alternative to loose gravel, concrete, stone, or brick driveways. They have a very modern look, which is useful if you wish to update the appearance of your property. 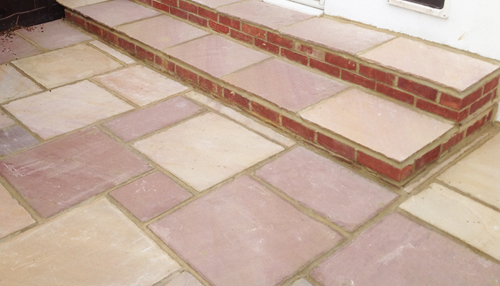 Aggregate stones are available in a range of colours, so you can use a colour that perfectly matches your property. It is even possible to use multiple aggregate stones with different colours to create patterns or shapes in your driveway. Installing a new resin driveway is quite affordable. The cost of aggregate and resin is quite low, and the installation time is fast. 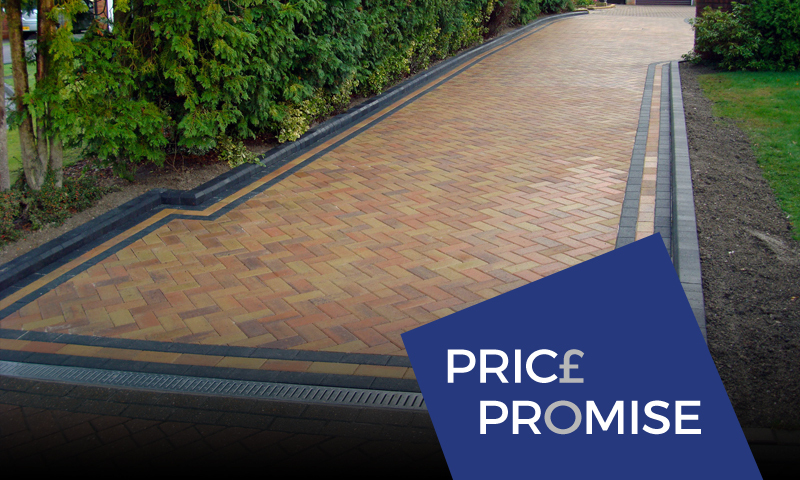 You can also save money by pouring a resin bound driveway over your existing driveway — which saves on the cost of excavation and removal of material. Resin bound driveways are an excellent choice for properties where water is an issue. Any excess water will simply drain through the driveway into the soil beneath. One of the main advantages of adding a resin Bound driveway to your new home or commercial property is the speed of installation. A resin bound driveway can be applied in a matter of hours and cures very quickly. If you are installing your resin bound driveway on top of an existing asphalt, concrete, or natural stone driveway the installation process will be even faster. There will be no groundworks required and the old driveway won’t have to be removed. Your resin bound driveway can be maintained by simply brushing it with a stiff bristle broom and hosing it off. 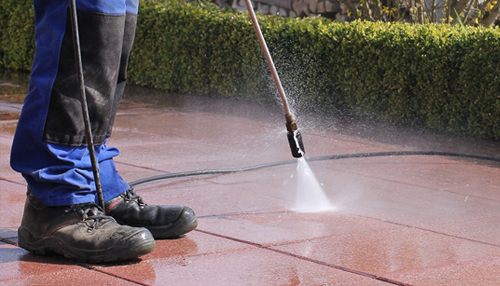 If there are oil stains, grime, or moss on the driveway, you can use a pressure sprayer to remove them. If you would prefer to have someone else clean your resin bound driveway for you, we would be happy to help with our Jet Washing Service. Our skilled technicians will ensure that your driveway is clean of all debris and looking its best. Why choose Pave Right UK for your Resin Bound driveway installation? Our team has been installing resin bound driveways for many years. We are very familiar with materials involved and understand how to correctly install resin bound driveways. The quality of the resin and aggregate used to form a driveway is crucial. Our company only high quality materials to ensure a world class finish. We offer very competitive rates for all of our services. We take safety seriously and only use fully trained workers who have the appropriate equipment, qualifications, and safety training. All prospective clients can receive a free estimate. We are proud of the quality of our work and fully guarantee it. To learn more contact us today on Freephone: 0800 696 5142 or London: 0208 485 7479. The guys at Pave Right UK did a wonderful job with our driveway with minimal disruption and no mess was left behind, would highly recommend! We were in desperate need of a new patio after previous builders did a botch job.. The work carried out by Pave Right UK has been faultless, many thanks. The fencing and pathway installed by Pave Right UK is superb, would highly recommend these guys. We can’t be beaten on the quality of our products, and if you don’t believe us, click here to get a free estimate. We’re so confident in the quality of our work, we’ll guarantee it for 5 years. 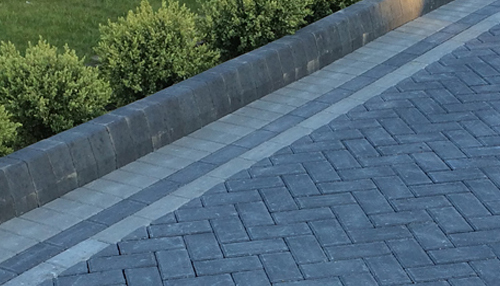 We only use the highest quality materials from the industry's leading suppliers. 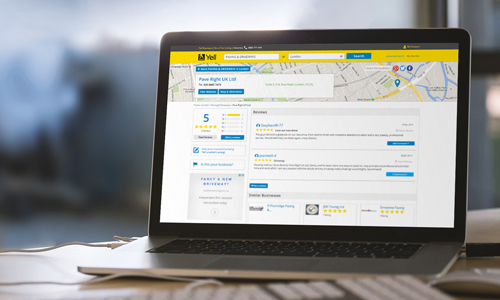 Find us on the yellow pages, and see some of our excellent reviews. 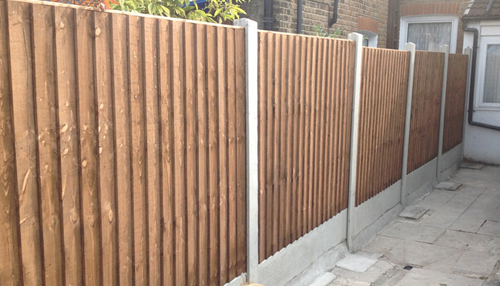 We cover London, Essex and Kent, so contact us today for further info or a free estimate.